Sydney, Australia – December 9th 2017. Manly Fast Ferry, the fastest way to travel between Manly and Sydney CBD, today announced the launch of a new mobile ticketing service, My Fast Ferry, removing the need for passengers to wait in line to buy a ticket, or top up a smartcard. Passengers can download the free Android or Apple app and turn their phone into both ticket machine and ticket. Passengers pay in the My Fast Ferry app using credit or debit cards, the ticket is then displayed on screen as a dynamic and encrypted 2D barcode and animated digital watermark. Following purchase, passengers activate their ticket, get their ticket scanned before boarding, or simply show the ticket to a member of the Manly Fast Ferry team. The new app also enables the purchase of food and drink onboard at the fast ferry bar. Manly Fast Ferry are using the market leading Justride Platform from Masabi, already in use with over 30 transport operators around the globe, including major cities such as New York, London, Las Vegas, Los Angeles, Boston and in countries such as France and the Netherlands. The same service is also in Pilot with the South Australian Government in Adelaide. Manly Fast Ferry and Masabi are working with The Commonwealth Bank of Australia, who are providing payment gateway services and will be the acquiring bank for the deployment. Along with the mobile ticketing app, Masabi are deploying the Inspect Handheld App, enabling Manly Fast Ferry staff to scan the mobile barcode tickets in under a second. 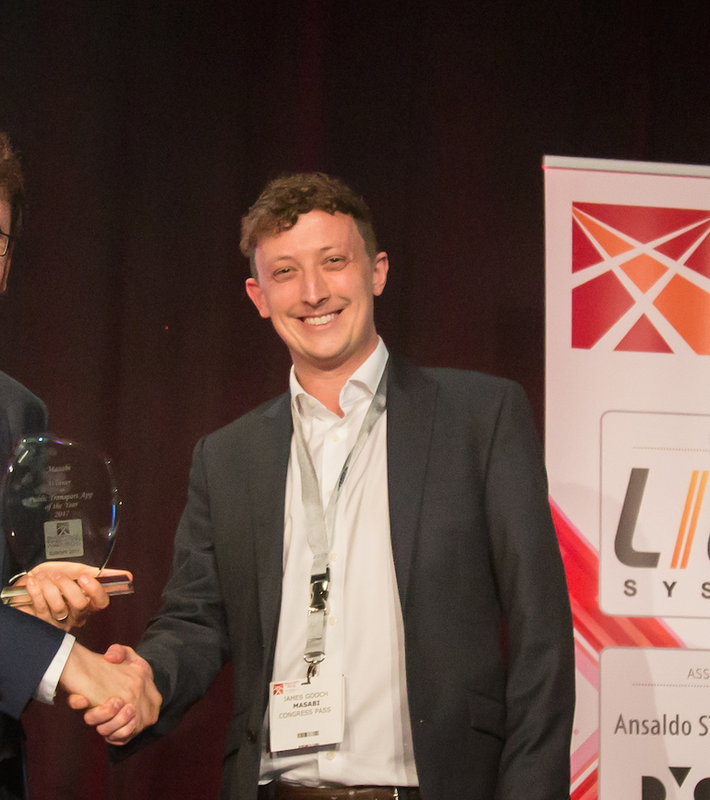 This follows successful Inspect Handheld App deployments across the UK Rail network and in cities such as LA, Athens and New York. Manly Fast Ferry is the main ferry service between Manly and Circular Quay on Sydney’s beautiful Harbour. Founded in 2009 Manly Fast Ferry has been an innovator in changing the way people of the norther beaches use ferries. Our fast-comfortable catamarans, designed and built in Australia, cross the harbour in just under 20 min. Loading and unloading approx 400 passengers with a ferry every ten minutes is the challenge. No one wants to miss their ferry while standing in a line waiting for tickets. 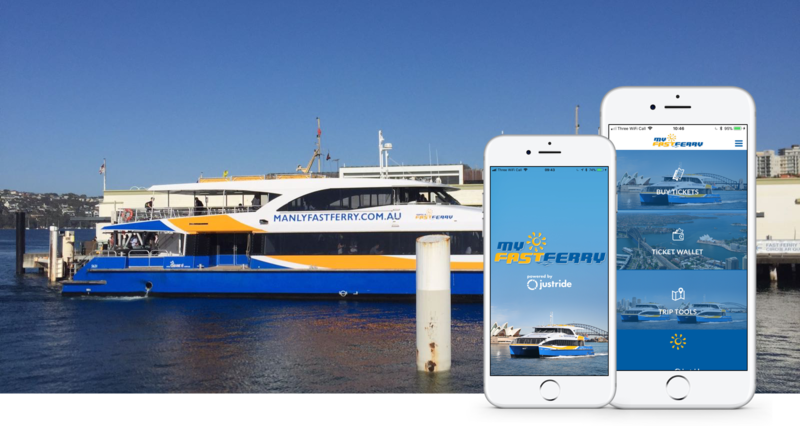 Manly Fast Ferry is all about speed and the customer experience, we look forward to improving our service by implementing the myfastferry ticketing APP with Masabi. Masabi is the global leader in mobile ticketing and fare collection for transportation. We deliver transit ticketing solutions that delight passengers and reduce costs for agencies. Masabi’s Justride is a scalable mobile ticketing and fare management platform. The company works in partnership with more than thirty leading transit agencies and operators in the US, Europe and around the globe, including; Boston’s MBTA, Keolis, National Express Bus, Thames Clippers, New Orleans RTA, LA Metrolink and New York’s MTA. Masabi has offices in London, New York and Boston and investors include Mastercard and Keolis.